Feinstein, Grassley Try to Thwart Normalized Marijuana Banking. Sens. Dianne Feinstein (D-CA) and Charles Grassley (R-IA) aren't happy with the Obama administration's efforts to find a way to let marijuana businesses in states where it is legal have access to the financial system. They sent a letter to the Financial Crimes Enforcement Network (FinCEN) complaining about the guidance it was offering banks "on providing financial services for drug traffickers," in Grassley's words. FinCen responded here, but that wasn't good enough for the crusty drug warriors. Now, Grassley has responded to the response, maintaining that "unless federal law is changed, selling marijuana, laundering marijuana proceeds, and aiding and abetting those activities all remain illegal" and that "FinCEN's guidance to financial institutions is absolutely contrary to the mission of the agency." Click on the title link to read the rest. Connecticut Poll Has 52% for Legalization. A Quinnipiac University poll released Monday has support for marijuana legalization at 52% among Connecticut voters, who also said overwhelmingly that alcohol was a bigger health problem than pot. A whopping 80% of voters under 30 supported legalization. Voters also supported having medical marijuana dispensaries in their towns by a margin of more than two-to-one. The state legalized medical marijuana in 2012. New Mexico Poll Has Only 40% for Legalization, But… an Albuquerque Journal flash poll had support for marijuana legalization at 40%, with 47% opposed. The poll only asked only if marijuana should be legalized, however, without specifying what legalization might look like. A poll done last year for the Drug Policy Alliance got 53% support for legalization when it asked whether marijuana should be legalized for adults so that it could be taxed and regulated, like alcohol, with restrictions on where it could be bought and consumed. Colorado Marijuana Tax Revenues Top $20 Million So Far This Year. The state Department of Revenue released figures last Thursday showing that revenues from adult and medical marijuana taxes, licenses, and fees were at nearly $22 million for the first three months of the year. The state reported that March adult marijuana sales hit $19 million, up $5 million over February, while medical marijuana sales were about $34 million. Push Underway to Decriminalize Toledo. A petition drive is underway for a municipal initiative to decriminalize small-time marijuana possession in the Northwest Ohio city. The initiative is sponsored by the Toledo NORML chapter, which says it has already collected 2,800 signatures. It needs 3,800 valid signatures to qualify for the November ballot. 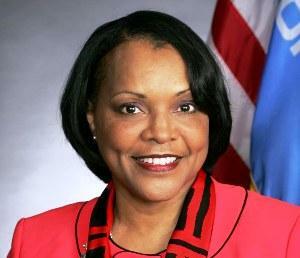 Oklahoma's Leading Democratic US Senate Candidate Pushes Marijuana Law Reform. State Sen. Constance Johnson (D-Oklahoma City), the leading candidate for the state's Democratic Party US Senate nomination, is the author of repeated failed medical marijuana bills in the state legislature and is currently working to get a legalization initiative on the November ballot. A Democrat winning a Senate seat in Oklahoma is a long shot, but Johnson says she hopes marijuana will drive voters to the polls. "This whole issue, to me, is not about smoking marijuana. It's about criminalizing it. That's where these young people stand to be hurt the most. They get that," said Johnson. "Unless we change who's voting, things will stay the same," she said. "It's time to send a message -- not only to the policymakers... but to the people -- that we can change this." You can do that by putting marijuana on the ballot, she said. Minnesota Governor Says He Will Sign House Bill. Gov. Mark Dayton (DFL) sent a letter Friday to lawmakers saying he could sign the medical marijuana bill passed by the House. Senate File 2470 was filed by Rep. Carly Melin (DFL-Hibbing) after her earlier, full-fledged medical marijuana bill, House File 1818 was blocked by law enforcement and the governor. A stronger bill, Senate File 1641, has passed the Senate, but Dayton didn't say he could sign that one. Now, the Senate must accept the House version or try to reach a compromise in conference committee. Ohio Medical Marijuana Initiative Campaign in Midst of Signature-Gathering. The Ohio Rights Group is leading a signature-gathering campaign to put a medical marijuana (and hemp) initiative on the November ballot. They need to collect 385,000 valid voter signatures by July 5. They had 50,000 signatures on March 1 and haven't reported any more recent figures, but the campaign has been ramping up this month. Arkansas Attorney General Again Rejects Medical Marijuana Initiative Language. Attorney General Dustin McDaniel has once again rejected the proposed wording for a medical marijuana initiative from Arkansans for Medical Cannabis. This is about the sixth time he has rejected proposals from the group. Meanwhile, another initiative, this one from Arkansans for Compassionate Care, is in the signature-gathering phase. The Arkansas Medical Cannabis Act needs some 65,000 valid signatures to qualify for the November ballot. Minnesota Governor Signs Asset Forfeiture Reform Bill. Last week, Gov. Mark Dayton (DFL) signed into law Senate File 874, which forces authorities to actually convict someone of a criminal offense or get a guilty plea before seizing his property. The bill also forces the government to prove the property was the instrument or proceeds of crime. Previously, it had been up to the victim of the seizure to prove it was not connected to crimes. Federal Judge Rejects City of Key West Prospective Employee Drug Testing. A US district court judge has ruled that Key West's policy of drug-testing prospective employees is illegal. The ACLU of Florida had brought suit on behalf of a woman who was offered a job as the city's recycling coordinator, but had the job offer rescinded after she refused a drug test. The city failed to demonstrate "a special need or important government interest which justifies the policy's Fourth Amendment intrusion," Judge James Lawrence King held. And while the city argued that the tests should be allowed because job applicants were forewarned, King wasn't buying it. The law doesn't allow a government entity "to violate a person's rights under the Fourth Amendment so long as prior notice of the impending violation is given," he ruled. Heroin Maintenance Coming to Norway? The Norwegian city of Bergen has proposed undertaking a program of heroin maintenance, or heroin-assisted treatment (HAT). Norway has long been skeptical of opioid maintenance therapies, allowing the use of methadone only in 1998. Dr. Ola Josendal, director of addiction medicine at Haukeland University Hospital proposed HAT clinical trials in December, but the national health minister rejected them. Now, however, the Labor Party, the largest bloc in parliament, is in favor, so it could happen. Stay tuned. Bermuda Cannabis Reform Collaborative Says Decriminalize It. A panel tasked with examining Bermuda's marijuana laws issued its report last Friday, and it calling for the decriminalization of small-time pot possession, allowing people to grow a small number of plants, and allowing the medical use of the plant on the island. Marijuana prohibition is not working, the report said. Mexico's Plan to Demobilize Anti-Cartel Vigilantes Hits Snags. Anti-cartel vigilantes in the state of Michoacan were supposed to begin laying down their arms and integrating into a new rural police force Saturday, but The Washington Post reports that the process isn't exactly going smoothly. The vigilante groups formed more than a year ago with an apparent wink and nod from the government and managed to drive the Knights Templar cartel out of parts of the state, but now, the government fears they may get out of control. Click the link for a full report. Things are about to get harder for opiate users in Crimea, the former Ukrainian province now annexed by Russia. While Ukraine has embraced a harm reduction approach to hard drug use, Russia rejects such an approach and has some of the most repressive drug laws in the world. Russia does not support efficient programs for preventing HIV and Hepatitis C among its drug using population, and harm reduction measures like needle exchanges and opiate substitution therapy (OST), of which methadone maintenance is a subset, are illegal. Now, the concrete consequences of Crimea's reincorporation into the ample bosom of Mother Russia are coming home for drug users there. On Wednesday, Russian "drug czar" Viktor Ivanov -- one of 31 allies of Pres. Vladimir Putin sanctioned by the US government this month -- announced that Russia will ban the use of methadone in Crimea. That comes after vows a week before that he would move away from harm reduction practices in general in Crimea. "Methadone is not a cure," Ivanov claimed. "Practically all methadone supplies in Ukraine were circulating on the secondary market and distributed as a narcotic drug in the absence of proper control. As a result, it spread to the shadow market and traded there at much higher prices. It became a source of criminal incomes," he said. Whatever Ivanov says, cutting off methadone for an estimated 800 patients will be a disaster, the International HIV/AIDS Alliance warned. And the threat of a broader rejection of harm reduction measures puts an estimated 14,000 Crimean injection drug users at risk. "When the supply of these medicines is interrupted or stopped, a medical emergency will ensue as hundreds of OST patients go into withdrawal, which will inevitably lead to a drastic increase in both acute illness as well as increases in injecting as people seek to self-medicate," said the alliance's Ukraine director, Andriy Klepikov. 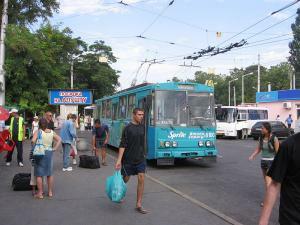 "Any interruption to harm reduction programming is a disaster for health, human rights and the HIV epidemic in the region and we urge the authorities in Crimea to step in and ensure that critical supply chains are not disrupted and lives not put at risk as a result of territorial politicking," Klepikov added. Ukraine has practiced methadone maintenance (or OST) therapy in Crimea since 2005. Patients in Simferopol, Sevastopol, Yalta, Eupatoria, Feodosia, Kerch and other cities receive daily treatment at local healthcare facilities. The AIDS alliance is not the only group raising the alarm. The International Network of People who Use Drugs (INPUD) has issued an urgent appeal to UN rapporteurs on the Crimea "calling upon you all to issue a public statement making clear the imminent risk that this population faces of losing access to essential medicines, we are requesting that you raise the issue with the Russian government urging them not to close down the currently running opiate substitution programs; and we are calling upon you to raise the issue with utmost urgency with the Human Rights Council with a view to ensuring continued access to the programs." "The Russian Federation has extremely repressive drug laws and its punitive approach to people who use drugs means that it now experiences one of the highest rates of new HIV infections in the world. Injecting drug users represent nearly 80% of all HIV cases in the country." Drugfree.org Gives Up on Anti-Marijuana Ad Campaign. The people who brought you "this is your brain on drugs" and similar anti-drug advertising campaigns have given up on fighting marijuana legalization. Formerly known as the Partnership for a Drug-Free America, the group and its CEO, Steve Pasierb, say they have rejected a request to launch a campaign against marijuana legalization because legalization "is happening in America." Here is the interview in Advertising Age where Pasierb speaks out. Colorado Supreme Court Says Lawyers Can Work With Marijuana Businesses. The Colorado Supreme Court approved a rule change Monday that will eliminate the threat of ethics sanctions against attorneys who work with marijuana businesses. Lawyers "may assist a client in conduct that the lawyer reasonably believes is permitted by these constitutional provisions and the statutes, regulations, orders, and other state and local provisions implementing them," Chief Justice Nancy Rice wrote in the updated rule. Delaware Poll Has Majority for Legalization, Two-Thirds for Decriminalization. A Public Policy Polling survey commissioned by the Marijuana Policy Project finds that a narrow majority (51%) support legalizing marijuana, while an overwhelming majority (68%) support decriminalization of the possession of small amounts. Illinois Decriminalization Bill Has Hearing Today. A bill to decriminalize the possession of up to an ounce of marijuana gets a hearing today in the House Restorative Justice Committee. The measure, House Bill 5708, was introduced by Rep. Kelley Cassidy (D-Chicago). Florida CBD Medical Marijuana Bill Wins Senate Committee Vote. A bill to legalize a special strain of low-dose medical marijuana passed through the Senate Criminal Justice Subcommittee on Monday. Senate Bill 1030, sponsored by Sen. Rob Bradley (R-Fleming Island), Sen. Aaron Bean (R-Fernandina Beach), and Sen. Jeff Brandes (R-St. Petersburg) would only allow patients to use extracts containing at least 15% CBD and less than 0.5% THC. The House companion bill, House Bill 843, differs in several ways. The two measures would have to be reconciled if both pass their respective chambers. Illinois Bill to Add Seizure Disorders Gets Hearing Today. A bill that would add seizure disorders to the list of diseases and conditions for which medical marijuana is approved gets a hearing today in the Senate Public Health Committee. Filed by Sen. Iris Martinez (D-Chicago), Senate Bill 2636 will be supported in committee by testimony from Kurt Florian, president of the Epilepsy Foundation of Chicago, as well as a family practitioner and parents of two children suffering from seizure disorders. 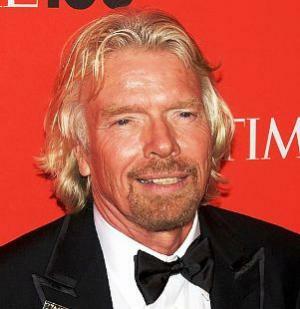 Richard Branson Op-Ed Urges Support for California Drug Reforms. Virgin Airlines head and Global Drug Policy Commission member Richard Branson has penned an op-ed calling for support of an initiative campaign to decriminalize drug possession in California. Click on the title link to read the op-ed. Branson is also appearing this afternoon at an event in San Francisco, where Sundog Pictures will hold a special screening of its drug war documentary "Breaking the Taboo." That's at 5:30 pm at the New People Cinema on Post Street. Pennsylvania Man Sues Philly Narcs for 13 Years of False Imprisonment. Philadelphia resident Kareem Torain has filed a lawsuit against a trio of current and former Philadephia narcotics officers, in which he claims they falsified evidence that led to him being convicted on drug charges and spending 13 years in prison. In addition to the individual narc, the lawsuit also targets the city of Philadelphia for "systemic deficiencies and deliberate indifference" that "have caused police officers, including defendant police Officers Monaghan and Reynolds, and former police Officer Walker in this case, to believe that they can violate the rights of citizens, with impunity, including the use of fraud and falsehood, without fear that their actions will be investigated." In recent years scores of drug cases have been dismissed by Philadelphia courts, and several lawsuits have been filed, claiming that narcotics officers routinely planted evidence and lied in court to secure convictions. Russian Drug Czar Calls for New Plan to Combat Afghan Drug Threat. Viktor Ivanov, head of the Russian anti-drug agency, has called for the UN Security Council to address "planet scale" drug production in Afghanistan and for interested countries to create a global alliance for alternative development in Afghanistan through "forced industrialization." Ivanov is one of the Russian political leaders sanctioned as a result of the Crimea crisis, and last week, he suggested that the US was using the crisis to deliberately destroy the international anti-drug cooperation in order to hide its responsibility for the drug crisis in Afghanistan. Canada Blocked Support for Harm Reduction at UN CND Meeting, Observers Say. Canadian diplomats in Vienna for the UN Commission on Narcotic Drugs (CND) meeting blocked harm reduction health approaches abroad that are widely practiced at home, said Canadian Drug Policy Coalition director Donald MacPherson, who attended the conference. "Historically, Canada had been a leader in this area," MacPherson noted. "A substantial amount of the scientific research validating harm reduction measures was done right here in Vancouver, and we've implemented quite robust harm reduction policies at the provincial level across Canada. It's hypocritical for us to oppose adoption of these strategies internationally, especially since this is a matter of life and death in many countries with high levels of injection drug use and HIV." Similarly, Richard Elliot, executive director of the Toronto-based Canadian HIV/AIDS Legal Network, described the position adopted by Canada in Vienna as "profoundly stupid." Canada Court Hearing Request for Injunction to Allow Prescription Heroin This Week. The Vancouver-based Pivot Legal Society and Providence Health Care will be in court this week to argue that participants in the SALOME study (The Study to Assess Long-term Opioid Maintenance Effectiveness) should receive an exemption from recent amendments to federal drug laws that prohibit doctors from prescribing heroin to patients for whom other treatment options have been ineffective. Pivot is representing five patients whose condition improved while in the SALOME study, operated by Providence Health, and who can no longer access the treatment now that their time in the study is over. Click on the link for more details. Mexican Lawmakers Hit DC, NYC to Discuss Their Marijuana Reform Proposals. Legislators from the Mexican Congress and the Mexico City Assembly will be in Washington, DC, and New York City to discuss the bills they introduced to decriminalize the consumption and purchase of marijuana for personal use in Mexico City and to legalize medical marijuana countrywide. Mexico City Senator Mario Delgado and Mexico City Assembly member Vidal Llerenas, both from the Democratic Revolution Party (PRD), will be in DC on March 24 and 25 and in NY on March 26 to discuss the aims of the marijuana reform proposals in Mexico. Click on the link for more details. Maryland Decriminalization, Legalization Bills Get Hearing; Police Chief Cites Hoax Story About Pot Overdose Deaths. Sen. Robert Zirkin's (D-Baltimore) Senate Bill 364, which would decriminalize marijuana possession, and Sen. Jamie Raskin's (D-Montgomery County) Senate Bill 658, which would legalize marijuana, got hearings in the Senate Judiciary Committee Tuesday. Law enforcement opposed the bills, while leaders of the ACLU and NORML members supported it. The lowlight of the hearing was Annapolis Police Chief Michael Pristoop's testimony mentioning an article about 37 overdose deaths the day marijuana became legal in Colorado. After being called out for repeating the hoax story by Sen. Raskin, Pristoop quickly backtracked. Iowa Semi-Decriminalization Bill Introduced. A bill that would remove the possibility of jail time for possession of less than an ounce and a half of marijuana has been introduced by Rep. Bruce Hunter (D-Des Moines). It's not a true decriminalization bill because it would keep simple possession as a misdemeanor offense. House File 2313 has been referred to the House Judiciary Committee. Click on the link to read the bill. Texas Poll Finds Near Majority for Legalization. Almost half -- 49% -- of Texans surveyed in a University of Texas/Texas Tribune poll support legalizing weed in either small quantities (32%) or any quantity (17%). Another 28% supported legalization only for medical purposes, while only 23% opposed any form of legalization. 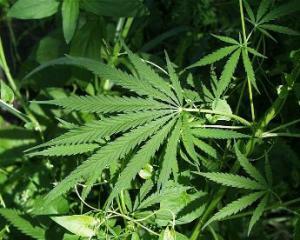 New York Poll Finds Majority Oppose Legalization. A new Siena poll has support for legalization at only 43%, with 53% opposed. That contrasts with a recent Q Poll that had New Yorkers supporting legalization 57% to 39%. Differences in the questions asked and the margin of error in the polls may account for the difference. Or New Yorkers are conflicted. Kentucky CBD Medical Marijuana Bill Advances. A bill that would allow for the trial use of high CBD cannabis oil to treat childhood epileptic seizures was approved by the Senate Health and Welfare Committee Wednesday. Senate Bill 124 now heads for the Senate floor. Hemp Bill Advances in Indiana. A bill to legalize the production of industrial hemp passed the House Agriculture Committee Tuesday and now heads for the House floor. The bill is Senate Bill 357. It has already passed the Senate. Welfare Drug Testing Bill Advances in Georgia. A bill that would require food stamp and welfare recipients to undergo drug testing upon "reasonable suspicion" passed the House Judiciary Committee Monday. House Bill 772 now moves to the House floor. Welfare Drug Testing Bill Stalls in Alabama Senate. A bill requiring drug testing of some welfare applicants hit a roadblock in the Senate Tuesday when Senate President Pro Tem Del Marsh (R-Anniston) adjourned the body after Democrats began fighting the bill. Senate Bill 63 would require drug testing of any applicant with a drug conviction in the last five years. It is just one of five bills in the Republican agenda to tighten regulations for public assistance. 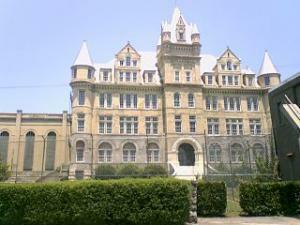 West Virginia Senate Approves Draconian Drug Sentencing Bill. A bill that would increase the penalty for bringing drugs into West Virginia from one year to up to 15 years passed the Senate Monday. It now goes to the House. Colombia's FARC Calls for Dismantling Drug-Paramilitary Nexus. Colombia's FARC guerrilla army called Tuesday for the dismantling of drug and paramilitary organizations it said were embedded within the Colombian state. 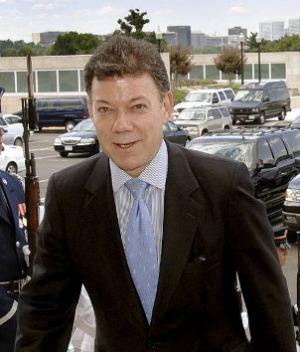 The call was part of the FARC's six-point program to deal with the drug issue in the country, which is the fourth item on the agenda of peace talks between the FARC and the Colombian government. 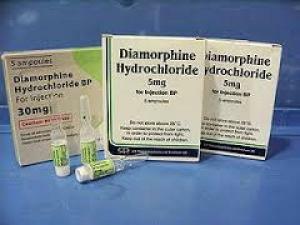 British Chief Constable Says Give Heroin to Addicts. Mike Barton, Chief Constable for Dunham Constabulary, is calling for heroin maintenance for addicts. Such a move would "take money out of drug dealers' pockets," he said, adding that it "isn't practical" to simply arrest addicts. His comments come in a BBC documentary in which he went to Copenhagen to visit drug consumption rooms there. The news last Sunday that acclaimed actor Phillip Seymour Hoffman had died of an apparent heroin overdose has turned a glaring media spotlight on the phenomenon, but heroin overdose deaths had been on the rise for several years before his premature demise. And while there has been much wailing and gnashing of teeth -- and quick arrests of low-level dealers and users -- too little has been said, either before or after his passing, about what could have been done to save him and what could be done to save others. There are proven measures that can be taken to reduce overdose deaths -- and to enable heroin addicts to live safe and normal lives, whether they cease using heroin or not. All of the above face social and political obstacles and have only been implemented unevenly, if at all. If there is any good to come of Hoffmann's death it will be to the degree that it inspires broader discussion of what can be done to prevent the same thing happening to others in a similar position. Hoffman, devoted family man and great actor that he was, died a criminal. And perhaps he died because his use of heroin was criminalized. Criminalized heroin -- heroin under drug prohibition -- is of uncertain provenance, of unknown strength and purity, adulterated with unknown substances. While we don't know what was in the heroin that Hoffman injected, we do know that he maintained his addiction and went to meet his maker with black market dope. That's what was found beside his lifeless body. In a commentary published by The Guardian, actor Russell Brand, a recovered heroin addict, laid the blame for Hoffman's demise on the drug laws. 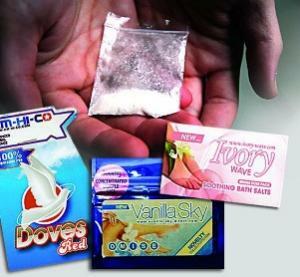 "Addiction is a mental illness around which there is a great deal of confusion, which is hugely exacerbated by the laws that criminalise drug addicts," Brand wrote, calling prohibitionists' methods "so gallingly ineffective that it is difficult not to deduce that they are deliberately creating the worst imaginable circumstances to maximise the harm caused by substance misuse." As a result, "drug users, their families and society at large are all exposed to the worst conceivable version of this regrettably unavoidable problem." We didn't always treat our addicts this way. Even after the passage of the Harrison Act in 1914, doctors continued for years to prescribe maintenance doses of opiates to addicts -- and hundreds of them went to jail for it as the medical profession fought, and ultimately lost, a battle with the nascent drug prohibition bureaucracy over whether giving addicts their medicine was part of the legitimate practice of medicine. The idea of treating heroin addicts as patients instead of criminals was largely vanquished in the United States, but it never went away -- it lingers with methadone substitution, for example. But other countries have for decades been experimenting with providing maintenance doses of opioids to addicts, and to good result. It goes by various names -- opiate substitution therapy, heroin-assisted theatment, heroin maintenance -- and studies from Britain and other European countries, such as Germany, the Netherlands, and Switzerland, as well as the North American Opiate Medications Initiative (NAOMI) and the follow-up Study to Assess Long-Term Opiate Maintenance in Canada have touted its successes. Those studies have found that providing pharmaceutical grade heroin to addicts in a clinical setting works. It reduces the likelihood of death or disease among clients, as well as allowing them to bring some stability and predictability to sometimes chaotic lives made even more chaotic by the demands of addiction under prohibition. Such treatment has also been found to have beneficial effects for society, with lowered criminality among participants and increased likelihood of their integration as productive members of society. The dry, scientific language of the studies obscures the human realities around heroin addiction and opioid maintenance therapy. One NAOMI participant helps put a human face on it. "I want to tell you what being a participant in this study did for me," one participant told researchers. "Initially it meant 'free heroin.' But over time it became more, much more. NAOMI took much of the stress out of my life and allowed me to think more clearly about my life and future. It exposed me to new ideas, people (staff and clients) that in my street life (read: stressful existence) there was no time for." "After NAOMI, I was offered oral methadone, which I refused. After going quickly downhill, I ended up hopeless and homeless. I went into detox in April 2007, abstained from using for two months, then relapsed. In July 2008 I again went to detox and I am presently in a treatment center... I am definitely not "out of the woods" yet, but I feel I am on the right path. And this path started for me at the corner of Abbott and Hastings in Vancouver... Thank you and all who were involved in making NAOMI happen. Without NAOMI, I wouldn't be where I am today. I am sure I would be in a much worse place." Arnold Trebach, one of the fathers of the drug reform in late 20th Century America, has been studying heroin since 1972, and is still at it. He examined the British system in the early 1970s, when doctors still prescribed heroin to thousands of addicts, and authored a book, The Heroin Solution, that compared and contrasted the US and UK approaches. Later this month, the octogenarian law professor will be appearing on a panel at the Vermont Law School to address what Gov. Peter Shumlin (D) has described as the heroin crisis there. 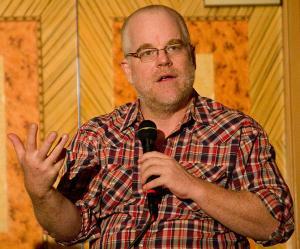 "The death of Phillip Seymour Hoffman is a tragedy all the way around," Trebach told the Chronicle. "It's a bad idea to use heroin off the street, and he shouldn't have been doing that." That said, Trebach continued, it didn't have to be that way. "If we had had a sensible system of dealing with this, he would have been in treatment under medical care," he said. 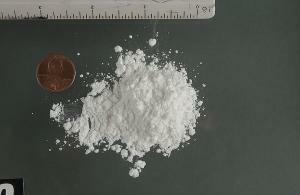 "If he was going to inject heroin, he should have been using pharmaceutically pure heroin in a medical setting where he could also have been exposed to efforts to straighten out his personal life, and he could have access to vitamins, weight control advice, and the whole spectrum of medical care. And if he had had access to opioid antagonists, he could still be alive," he added. While Hoffman may have made bad personal choices, Trebach said, we as a society have made policy choices seemingly designed to amplify the prospects for disaster. "This is a sad thing. He is just another one of the many victims of our barbaric drug policy," he said. "This was a totally unnecessary death at every level. He shouldn't have been using, but we should have been taking care of him." The stuff ought to be legalized, Trebach said. "I'm an advocate of full legalization, but if we can't go that far, we need to at least provide social and psychological support for these people," he said. "And even if we were to decriminalize or legalize, I would still want to figure out ways to provide support and love and kindness to people using the stuff. I advise you not to do it, but if you're going to use it, I want to keep you alive. I remember talking to people from Liverpool [a famous heroin maintenance clinic covered in the '90s by Sixty Minutes, linked above] about harm reduction around heroin use back in the 1970s. One of the ladies said it is very hard to rehabilitate a dead addict." "There are plenty of things we can be doing," said Hilary McQuie, Western director for the Harm Reduction Network, reeling off a list of harm reduction interventions that are by now well-known but inadequately implemented. 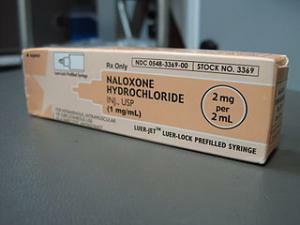 "We can make naloxone (Narcan) more available. We need better access to it. It should be offered to people like Hoffman when they are leaving treatment programs, especially if they've been using opiates, just as a safeguard," she said. "Having treatment programs as well as harm reduction programs distribute it is important. We can cut the overdose rate in half with naloxone, but there will still be people using alone and people using multiple substances." There are other proven interventions that could be ramped up as well, McQuie said. "Safe injection sites would be very helpful, so would more Good Samaritan overdose emergency laws, and more education, not to mention more access to methadone and buprenorphine and other opioid substitution therapies (OST)," she said, reeling off possible interventions. Dr. Martin Schechter, director of the School of Population and Public Health at the University of British Columbia in Vancouver, knows a thing or two about OST. The principal study investigator for the NAOMI and the follow-up SALOME study, Schechter has overseen research into the effectiveness of treating intractable addicts with pharmaceutical heroin, as well as methadone. The results have been promising. "What we're using is medically prescribed pharmaceutical diacetylmorphine, the active ingredient in heroin," he explained. "It's what you have when you strip away all the street additives. This is a stable, sterile medication from a pharmaceutical manufacturer. We know the precise dose tailored for each person. With street heroin, not only is it adulterated and injected in unsterile situations, but people really don't know how strong it is. That's probably what happened to Mr. Hoffman." In NAOMI, 90,000 injections were administered to study participants, and only 11 people suffered overdoses requiring medical attention. "Never did we have a fatal overdose," Schechter said. "Because it was in a clinic, nurses and doctors are right there. We administer Narcan (naloxone), and they wake up." Heroin maintenance had even proven more effective than methadone in numerous studies, Schechter said. "There have been seven randomized control trials across Europe and in Canada that have shown for people who have already tried treatments like methadone, that medically prescribed heroin is more effective and cost effective treatment than simply trying methadone one more time." Those studies carry a lesson, he said. "We have to start looking at heroin from a medicinal point of view and treat it like a medicine," he argued. "The more we drive its use underground, the more overdoses we get. We need to expand treatment programs, not only with methadone, but with medically prescribed heroin for people who don't respond to other treatments." Safe injection sites are also a worthwhile intervention, Schechter said, although he also noted their limitations. "Injecting under supervision is much safer; if there is an overdose, there is prompt attention, and they provide sterile equipment, reducing the risk of HIV and Hep C," he said. "But they are still injecting street heroin." 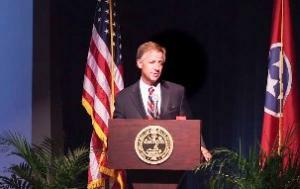 He would favor decriminalizing heroin possession, too, he said. Harm reduction measures, opioid maintenance treatments, and the like are absolutely necessary interventions, said McQuie, but there is a larger issue at hand, as well. "We still need to look at the overall issue of the stigmatization of drug users," she said. "People aren't open about their use, and that puts them in a more dangerous situation. It's really hard in a criminalized environment." Stigmatization means to mark or brand someone or something as disgraceful and subject to strong disapproval. Defining an activity, such as heroin possession, as a crime is stigmatization crystallized into the legal structures of society itself. "The ultimate harm reduction solution," McQuie argued, "is a regulated, decriminalized environment where it is available by prescription, so people know what they're getting, they know how much to use, and it's not cut with fentanyl or other deadly adulterants. People wouldn't have to deal with all the collateral damage that comes from being defined as criminals as well as dealing with the consequences of their drug use. They could deal with their addictions without having to worry about losing their homes, their families, and their freedoms." While such approaches have a long way to go before winning wide popular acceptance, policymakers should at least be held to account for the consequences of their decision-making, McQuie said, suggesting that the turn to heroin in recent years was a foreseeable result of the crackdown on prescription opioid pain medication beginning in the middle of the last decade. "They started shutting down all those 'pill mills' and people should have anticipated what would happen and been ready for it," she said. "What we have seen is more and more people turning to injecting heroin, but nobody stopped to do an impact statement on what would be the likely result of restricting access to pain pills." The impact can be seen in the numbers on heroin use, addiction, and overdoses. While talk of a "heroin epidemic" is overblown rhetoric, the number of heroin users has increased dramatically in the past decade. According to the Substance Abuse and Mental Health Services Administration (SAMHSA), the number of past year users grew by about 50% between 2002 and 2011, from roughly 400,000 to more than 600,000. At the same time, the number of addicted users increased from just under 200,000 to about 370,000, a slightly lesser increase. If there is any good news, it is that, according to the latest (2012) National Household Survey of Drug Use and Health, the number of new heroin users has remained fairly steady at around 150,000 each year for the past decade. That suggests, however, that more first-time users are graduating to occasional and sometimes, dependent user status. And some of them are dying of heroin overdoses, although not near the number dying from overdoses from prescription opioids. Between 1999 and 2007, heroin deaths hovered just under 2,000, even as prescription drug deaths skyrocketed, from around 2,500 in 1999 to more than 12,000 just eight years later. But, according to the Centers for Disease Control, by 2010, the latest year for which data are available, heroin overdose deaths had surpassed 3,000, a 50% increase in just three years. While the number of heroin overdose deaths is still but a fraction of those attributed to prescription opioid overdoses and the numbers since 2010 are spotty, the increase that showed up in 2010 shows no signs of having gone away. Phillip Seymour Hoffman may be the most prominent recent victim, but in the week since his death, another 50 or 60 people have probably followed him to the morgue due to heroin overdoses. 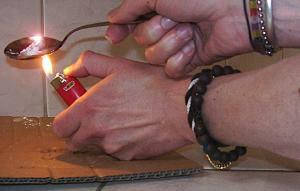 There are ways to reduce the heroin overdose death toll. It's not a making of figuring out what they are. It's a matter of finding the political and social will to implement them, and that requires leaving the drug war paradigm behind.